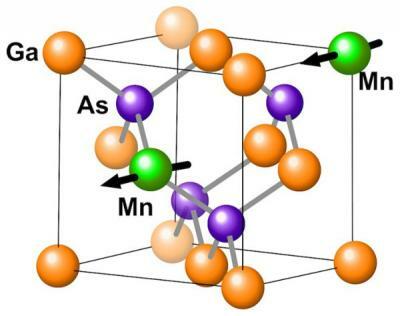 Researchers from Johannes Gutenberg University Mainz (JGU), the University of Konstanz and Tohoku University developed a spin-valve structure based on several ferromagnets - which can detect the efficiency of magnon currents depending on the magnetic configuration of the device. 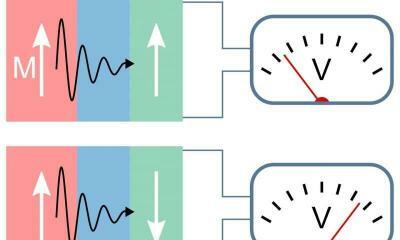 The researchers say that this is a new "building block" for Magnon Spintronics, and this kind of device could be used to the transmission or blocking of incoming spin information. Researchers at Tohoku University demonstrated a spintronics-based artificial intelligence (AI) device. The researchers developed an artificial neural network using micro-scale magnetic spintronic device. The researchers say that this spintronic device is capable of memorizing arbitral values between 0 and 1 in an analogue manner unlike the conventional magnetic devices, and thus perform the learning function, which is served by synapses in the brain. This is still an early stage (the researchers call this a proof-of-concept demo) but spintronics has a high potential to enable ultra low-power and fast neural-network devices. Researchers from Tohoku University and the Japan Science and Technology Agency (JST) have confirmed that surface plasmon resonance can be used to generate spin currents. Surface plasmon resonance happens when electrons are hit by photos and react by vibrating. It is commonly used in bio-sensors and lab-on-a-chop systems. The researchers have shown that directing light on a certain magnetic material, a spin current can be produced and controlled. A zigzag-edged graphene nanoribbon is the most magnetic type - and these ribbons are considered the most suitable ones for spintronics applications. 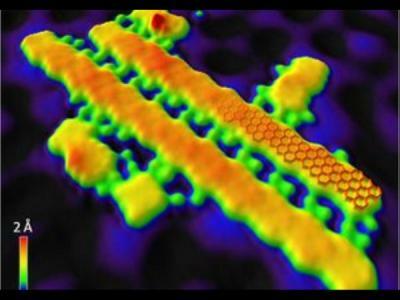 Researchers from UCLA and Tohoku University developed a new self-assembly method to fabricate pristine zigzag graphene nanoribbons. The researchers say they can control the ribbons length, edge configuration and location on the substrate. Tohoku University and NEC developed new "zero standby power" Spintronics logic ICs. They actually developed a library that establishes automatic design flow of nonvolatile logic-in-memory integrated circuits. Using this library they managed to design and make a prototype image processing chip that reduces "unnecessary power consumption" by up to 75%. This new chip uses 25 processors, but by running only the needed processors for each operation and turning off the power for the unused ones, the power consumption is reduced. NEC says that the new library can be used in addition to existing design tools and will enable large-scale logic-in memory integrated circuits, even without expertise in circuit design or Spintronics technology.